Anchor Planning & Valuations, Ltd.
Anchor Planning & Valuations, Ltd. is based in Illinois, with a national reputation and client base. 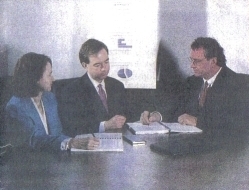 The firm provides business planning and valuation services to primarily small to medium size businesses. Our firm, being a specialized business planning & valuation firm, has access to resources and ideas not available to other general CPA or consulting firms.